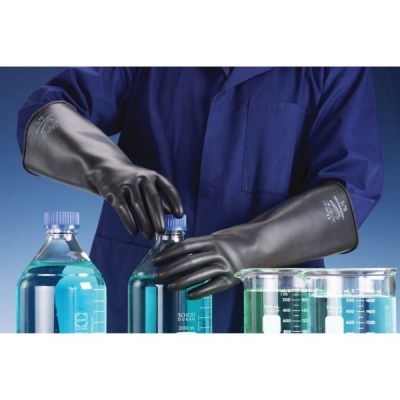 The Polyco Chemprotec Unlined Heavyweight Chemical Resistant Gloves offer excellent protection against a variety of chemicals and cleaning agents including acids, alkalis and alcohols. 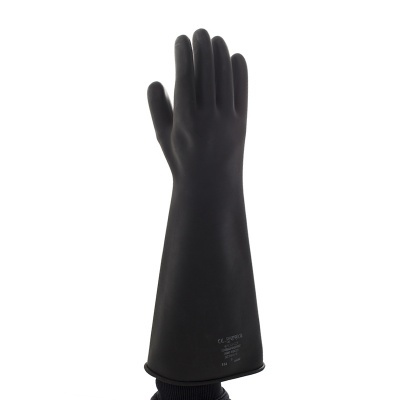 Available in three different lengths the glove ensures the user is protected with its outstanding abrasion and cut resistant levels. 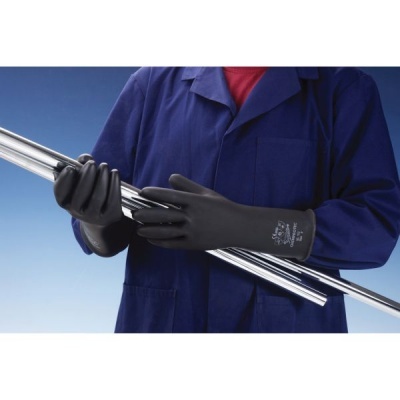 Furthermore, flexibility and dexterity make it so that these gloves can be used for tactile handling of potentially hazardous substances. Nitric Acid 50% >480 mins. Sulphuric Acid 50% >480 mins. Sulphuric Acid 96% >240 mins. 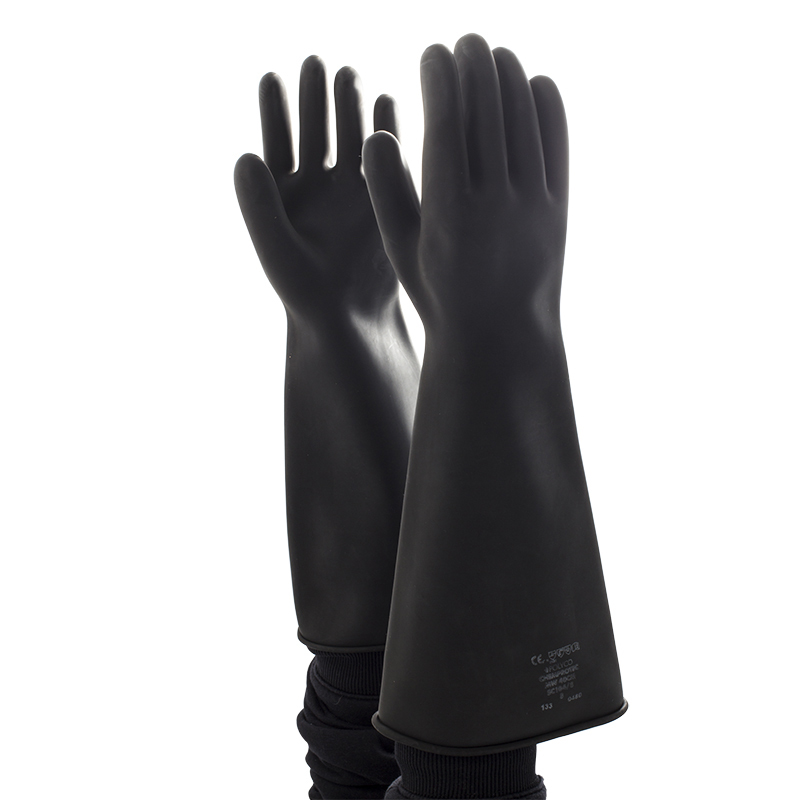 The Chremprotec Heavyweight Gloves are available in four sizes that should suit the hands of most users. Please measure the circumference of your hand around the knuckles (excluding the thumb) with your hand open and your fingers together, and the length of your hand from the tip of your middle finger to your wrist. They are also available with a choice of three different lengths: 44cm, 60cm, 66cm. 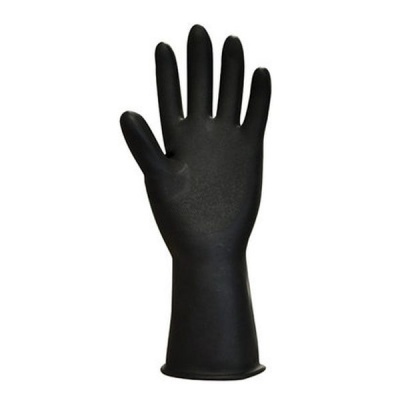 The longer length gloves are ideal for providing additional protection to the forearm as well as the hands. Bought to use when pouring acid down domestic drains. Not lined and inevitably they make you a bit hot and sweaty but they fit well (I measured my hands to try to get the right size) and they seem OK. I haven't tried leaving my hands in acid in the gloves to test them, somehow I don't fancy that.